Gallery Protocol is pleased to present no-place, a group exhibition curated by Iris Williamson. no-place features painting, drawing, sculpture, and digital media by Hayley Barker, Alisa Bones, Andrea Brown, Akina Cox, Brooks Dierdorff, Natalie Escobar, Jackie K. Johnson, Angélica Maria Millán Lozano, Jess Perlitz, Nicolas Sassoon & Rick Silva, Eileen Isagon Skyers, Lindsay Preston Zappas. The exhibition opens with a reception on February 24 from 8:00PM to 11:00PM and runs through April 7. In no-place, utopian motifs—such as lush foliage, remote islands, and the swirling heavens—are confronted by consumerist objects, sharp thorns, chains, and smokestacks. The exhibition anticipates and engages the failures that occur in pursuing an ‘ideal reality.’ As the title suggests, many works speak to ‘utopia’ as an act of dislocation—from the particulars of a specific place, or even a specific body. Abstracted figures negotiate environments composed of signifiers, and spaces open up for travel beyond the physical world. no-place invites viewers to consider self-care as the first step in caring for and creating new worlds. Iris Williamson is a curator based in Portland, Oregon. She co-founded enter:gallery (NYC) and Dugg Dugg Gallery (Charlotte, NC), and curated exhibitions for the city of Charlotte during the 2012 Democratic National Convention. She recently concluded a three-year run curating at Hap Gallery and now co-directs Williamson | Knight (Portland) with John Knight. Williamson received her MA in MA in Critical Theory and Creative Research from Pacific Northwest College of Art and her BFA in Studio Art and Art History from the University of Florida, Gainesville. Hayley Barker makes gestural, expressive drawings and oil paintings about visionary and ecstatic experience, informed by nature, site-specific research, and her own spiritual practice. The feminist ritual work she is engaged in informs all of her creative output, as does her relationship to the history of spiritual imagery in abstract painting. Her work has appeared in Pacific Northwest venues such as Charles Hartman Fine Art, Disjecta, and the Art Gym and in publications such as New American Painting and The Harvard Divinity Bulletin. Her work was named the best show in Portland of 2014 by Art Ltd. magazine and has been reviewed in Art in America, the Oregonian, Willamette Week, Portland Monthly, and Visual Arts Source. Barker received her BA from the University of Oregon (1996) and her MA and MFA in Intermedia, from the University of Iowa (2001). Recently she had solo shows at Luis De Jesus (LA) and at Carl & Sloan Contemporary (Portland). She lives and works in Los Angeles with her husband and two cats. Alisa Bones is an artist living and working in Brooklyn, NY. She has recently shown Abrons Art Center (NYC), Semantics (Cincinatti), and in Portland at PSU’s Littman Gallery, at H. Klum Fine Arts, and at S1. She received her BA from Reed College and holds an MFA in Painting from Yale. In 2012 she was the recipient of a Kaspar T. Locher Fellowship. Alisa was born in Kansas City, MO and grew up in the Pacific Northwest. Andrea Brown currently lives and works in Los Angeles, CA. Brown’s recent exhibitions include Land of the Smokes: Landscapes and Los Angeles at Last Projects (Los Angeles), and Tilt Exports: Of Silence at Outpost Projects (Joshua Tree, CA). Brown received her MFA at University of California, Riverside, and her BFA at the Lamar Dodd School of Art, University of Georgia, Athens. Her work has been exhibited widely throughout the nation, and is part of the Fidelity Bank Collection. Akina Cox graduated from CalArts with an MFA in 2012. Her work has been included in exhibitions in Los Angeles at Commonwealth and Council, Monte Vista Projects, LACE, and Practice. Her collaborative projects have been exhibited at the Center for the Arts Eagle Rock (LA), as well as ForYourArt and the Santa Monica Museum of Art. Her artist books have been published by New Byzantium Press and Golden Spike Press. She lives and works in Los Angeles, CA. Brooks Dierdorff is an artist working in photography, video, sculpture, and installation. 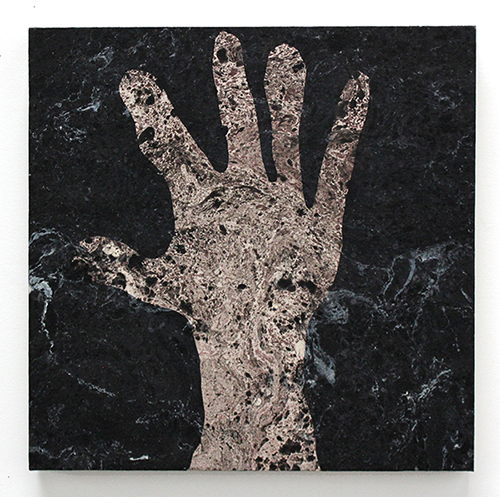 He has exhibited his work both nationally and internationally at galleries that include Amos Eno (Brooklyn); Punch Gallery (Seattle); the Disjecta (Portland); High Desert Test Sites in (Joshua Tree, CA); Johalla Projects (Chicago); the Ulrike Hamm Gallery (Bissendorf, Germany); and The New Gallery (Calgary, Canada). His work has been written about in publications including Daily Serving, Visual Arts Source, Oregon Arts Watch, and The Daily Mail. For three years Dierdorff was co-director of Ditch Projects, an artist-run exhibition space in Springfield, Oregon. He also founded and co-directed a not-for-profit art space, Grammar Center, in Medford, OR from 2014 to 2015 and is currently co-director of Grammar Center Press, a small-run artist book press. He received his BA from the University of California, San Diego in 2007 and his MFA from the University of Oregon in 2012. Currently he is an Assistant Professor of Photography at the University of Central Florida in Orlando, Florida. Natalie Escobar is an artist living and working in Atlanta, Georgia. In November 2016 she presented her first solo exhibition, Falling Stranger, at the historic Flatiron Building in downtown Atlanta. Recent paintings question societal stigmas against madness, examine the history of insanity, and are a byproduct of her empathy for those struggling with mental illness. They are renditions of imaginary overgrown tropical environments at night, and contain a personal symbology of visual elements: lush tropical leaves, snakes, grates, feet, and chains. An isolated figure often peeks through the chaos within the paintings, rarely revealing their identity. Escobar has been exhibiting in the Atlanta area since 2011 and holds her BFA in painting from Savannah College of Art and Design - Atlanta. Jackie K. Johnson, a native of Oregon and a graduate of the Pacific Northwest College of Art, made New York City her home from 1978 to 1993 where she worked and exhibited her paintings. She is represented by Russo | Lee Gallery in Portland, OR. She has been included in a number of gallery and museum invitationals such as the Blair Art Museum and the Johnstown Art Museum (Pennsylvania), the Academy of Art (Easton, Maryland), the Ward Nasse Gallery, and 55 Mercer Street Gallery (NYC). Jackie K. Johnson currently resides in Portland. Angélica Maria Millán Lozano is a fibers and performance artist de Bogotá, ColOmbia who moved to Portland in pursuit of her MFA in Visual Studies at Pacific Northwest College of Art. Her work questions the ethical implications of social injustices that affect Latinas in the home. She creates abstract and figurative compositions on distressed fabrics where she juxtaposes different remnants symbolizing experiences affected by her ColOmbian and American culture. In her current role as a Curatorial Fellow for the Holt and Lodge galleries, she curates and organizes exhibitions for the Fall 2016 through Spring 2017 season. She is also a co-founder at CVLLEJERX, a poc focused fashion collaboration. Jess Perlitz makes work that is focused on considering landscape and the ways in which we define and seek to recognize ourselves within it. Thinking about how space gets articulated, her projects take many forms—traversing performance, sculpture, and drawing. Perlitz’s work has appeared in a variety of venues such as playgrounds, fields, galleries, and museums, including the Institute for Contemporary Art (Philadelphia), Socrates Sculpture Park (NYC), Cambridge Galleries (Canada), De Fabriek (The Netherlands), and aboard the Arctic Circle Residency. Born in Toronto, Canada, Jess is a graduate of Bard College, received her MFA from Tyler School of Art, and clown training from the Manitoulin Center for Creation and Performance. Jess is currently based in Portland, Oregon where she is Assistant Professor of Art and Head of Sculpture at Lewis & Clark College. Currently her work can be seen at Eastern State Penitentiary in Philadelphia, PA and in Omaha, NE at the Bemis Center for Contemporary Art where she is an artist in residence. Nicolas Sassoon makes use of early computer imaging techniques to render visions of architectures, landscapes and natural forces. Sassoon’s practice translates ideas of materiality and immateriality into digital animations, installations, prints, and sculptures. His work explores the contemplative and projective dimensions of screenbased space, and how the digital image can express dimensions of the physical realm. While most of his output is published online, Sassoon also materializes his web-based practice into a wide range of Medias. His visual research often leads him to engage in cross-disciplinary projects in the fields of architecture, electronic music, textiles, and art. Nicolas is a founder of the collective W-A-L-L-P-A-P-E-R-S. His work has been exhibited at The Whitney Museum of American Art (US), Eyebeam (US), 319 Scholes (US), Vancouver Art Gallery (CA), Plugin ICA (CA), Contemporary Art Gallery (CA), Charles H.Scott Gallery (CA), Western Front (CA), PRETEEN Gallery (MX), Victoria & Albert Museum (UK), the Centre d’Art Bastille (FR), Arti et Amicitiae (NL), MU Eindhoven (NL), Today Art Museum (CN), the Berlin Fashion Week (DE) and the New-York Fashion Week (US). Eileen Isagon Skyers is an artist and writer living and working in Brooklyn, NY. She has worked with contemporary art and non-profit arts organizations including the USF Contemporary Art Museum (Tampa, FL), The Wassaic Project (Brooklyn, NY), the Portland Institute for Contemporary Art (Portland, OR), and the Digital Museum of Digital Art. She holds a BA in Philosophy and a BFA in Studio Art from the University of South Florida, Tampa, FL and an MA in Critical Theory and Creative Research at Pacific Northwest College of Art, Portland, OR. of Painting and Sculpture in 2013. Recent exhibitions include solo shows at OCHI Projects (L.A.), City Limits (Oakland), and a two-person show at VACANCY (L.A.). She is the founder and Editor-in-Chief of Contemporary Art Review Los Angeles, and has written for various exhibition catalogues and publications, such as Flash Art, SFAQ, and Art21. Zappas has taught at Cal State Northridge, Fullerton College, and Oregon College of Art and Craft.